One of my favorite collection from the Spring '13 show was Tommy Hilfiger. His shows always captures the full experience of whatever the inspiration is for the season. For Spring, the Tommy Hilfiger reference was all things nautical. 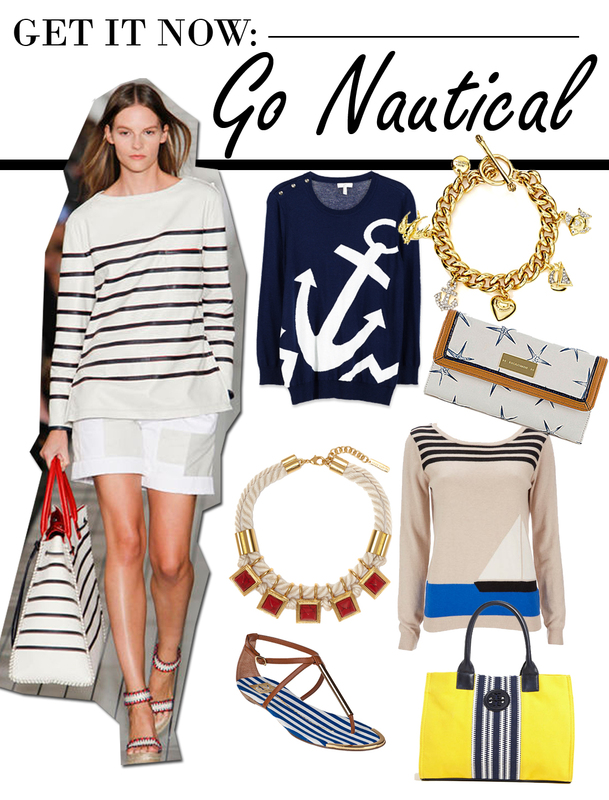 I choose some nautical inspired pieces that can be worn now (in the cold) or later when it warms up. It's your choice! Sail Away!